Released in 2013, Trampoline, the debut feature from Tom Ryan, was one of the finest Irish film of that year, and went on to win many award on independent film festival circuit. Proudly made for under €1,000, the movie was a triumph of indie film making, and showed Ryan had a lot of potential behind the camera. 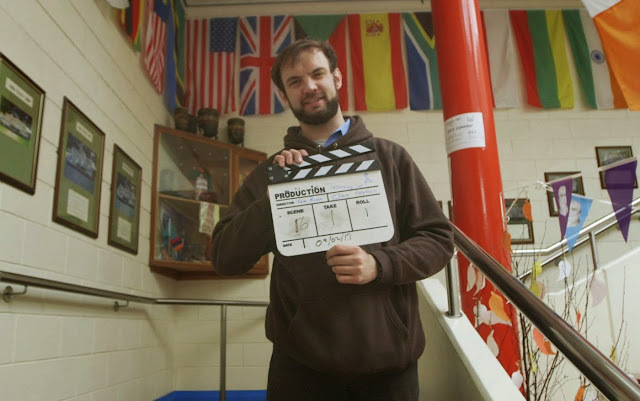 Now, he has his second independent feature lined up with Twice Shy, a light hearted drama which star Murray Corcoran (King Arthur, Angela’s Ashes) and Iseult Casey as Andy O’Meara and Maggie Collins, a young couple from Tipperary who set off on a trip to London after Maggie surprises Andy with the revelation that she is pregnant. Filming begins on the feature on June 15th with locations taking in Ireland and the U.K. Ryan will team up with London based t.v. producer Fionn Greger, the two having worked before on short movies and commercials. Twice Shy is expected to hit the festival circuit in Spring of 2016.